Located in the heart of America, Kansas borders Colorado, Missouri, Nebraska, and Oklahoma. The Wheat State is one of the flattest states in the country, and has two separate time zones depending upon the part of the state you are in. 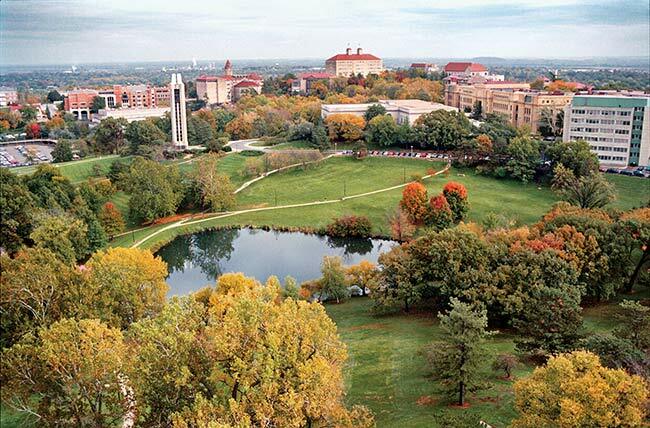 From the unique attractions to food production, here are five reasons to love the state of Kansas. At a height taller than the Niagara Falls, the Verrückt was created by innovative water extraordinaire Jeff Henry. Located in Kansas City, the mountainous waterslide features a four person raft style waterslide to allow people to share this once in a lifetime experience. In Cawker City, you can visit the 16,750 pound largest ball of twine. You can also thank the state for the famous fast food chains Pizza Hut and White Castle which both were founded in Wichita, Kansas. Ironically, the state of Kansas no longer has a single White Castle restaurant. The Sunflower State is one of the top producers of wheat in the world; producing enough crop to bake close to 36 billion loaves of bread per year. From the Lewis and Clarke National Historic Trail to the Tallgrass Prairie National Preserve, there are plenty of areas under the National Park Service’s protection. Whether you’re looking for a great place to hike, boat, horseback, or various other outdoor activities, Kansas has got you covered. This amazing collection of U.S. history features Apollo 13 command module, a German V-2 rocket, interactive exhibits, and more. Located in Hutchinson, Kansas, the Kansas Cosmosphere and Space Center offers kids the chance to sit at the Mission Control desk, learn about space, and is only second to the Smithsonian in space artifacts.